This book is her compilation of the women who made NY the epicenter of culture that it is today. The beautiful illustrations by Hallie Heald bring to life the famous and infamous women whose contributions left their mark on New York City as we know it today. This program will be presented in The Madison Theater at Molloy College, 1000 Hempstead Avenue, Rockville Centre. Registration will start at 12:30 followed by the author’s discussion beginning at 1:30. Following the author’s discussion and question and answer period, refreshments will be served in the lobby of the theater. Click on the link below to register for this event. Your registration must be accompanied by your credit card payment of $20. Once completed, you will receive a confirmation of your registration. 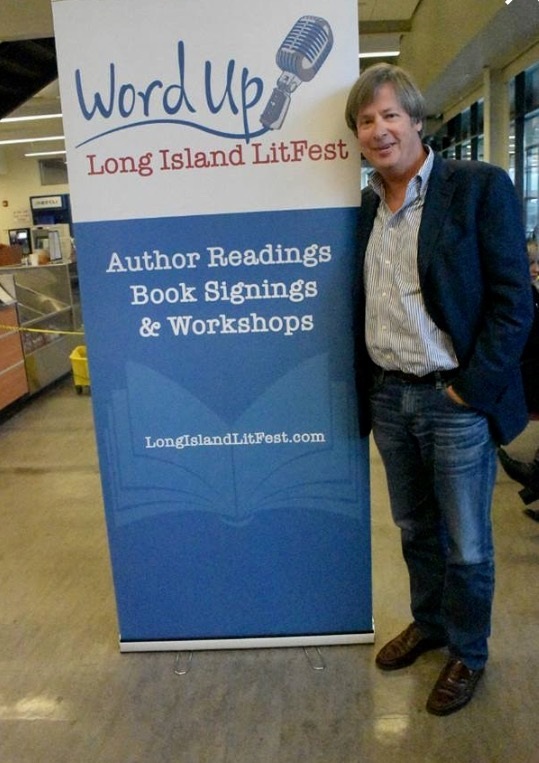 Held once a year, Long Island LitFest is a day of workshops, author readings and book signings. We also produce single-author events throughout the year at various venues. Some of our past Long Island LitFest Presents events featured Wally Lamb, Alice Hoffman, Anna Quindlen, Kurt Andersen, Nelson DeMille and Rep. Steve Israel, Andre Aciman and Sheila Nevins! Stay tuned for upcoming events. For inquiries about Long Island LitFest, please drop us a line here or call 516-810-7781. Everything You’ve Always Wanted to Know …. Lidia Bastianich in Newsday’s FanFare! Announcing Long Island LitFest 2018!